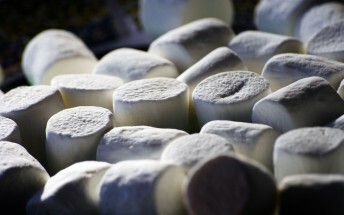 Earlier we had reported the list of Samsung devices that would be getting the Android 6.0 Marshmallow update but back then there was no tentative date available as to when the updates will be rolling out. 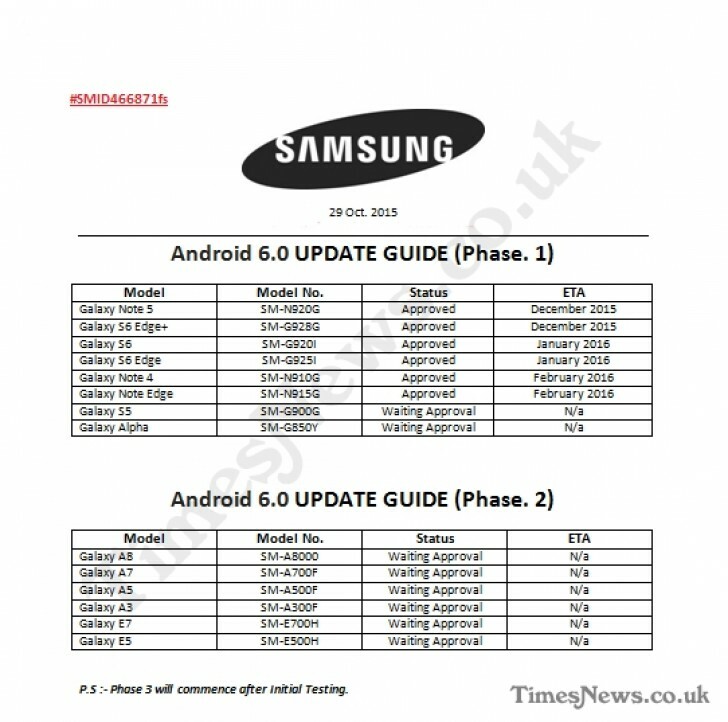 Today, we have the release schedule for some of the Samsung devices that were listed earlier, courtesy of Times News UK. The list includes two phases, with phase 1 including the flagship (and thereby, high priority) devices. As you can see the most recent Note5 and the S6 edge+ will be the first to receive the Marshmallow update in December, with the S6 and S6 edge receiving it in January. They will then be followed by the Note 4 and the Note Edge in February. Two of the phase 1 devices, and all of the phase 2 devices, are currently awaiting approval, with no ETA on when they will get the update. There is also a phase 3, not shown in the image, that includes additional devices that will be getting the update some time next year, so if you don't see yours in the list above and is a reasonably recent device then you can expect it to get the update.